Humans have always been led to believe that fires are something to avoid. They are something that causes loss of lives, burning trees, wildlife destruction and utter chaos. All of these things are true… but what I was completely unaware of was just how important they are in the worlds natural ecosystem. 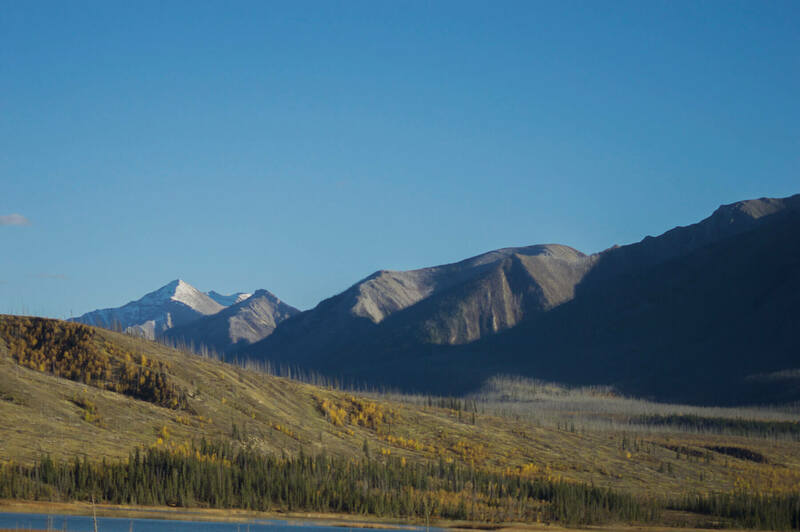 This post is directed at Forest Fires – and in particular those in North America. When we see huge fires raging across land, destroying wildlife and burning trees, we immediately want to put them out. Stop the fire and stop the destruction. I can understand why. It’s part of human nature to act quickly against something so destructive, but the outcome our good intentions is actually 100X worse. 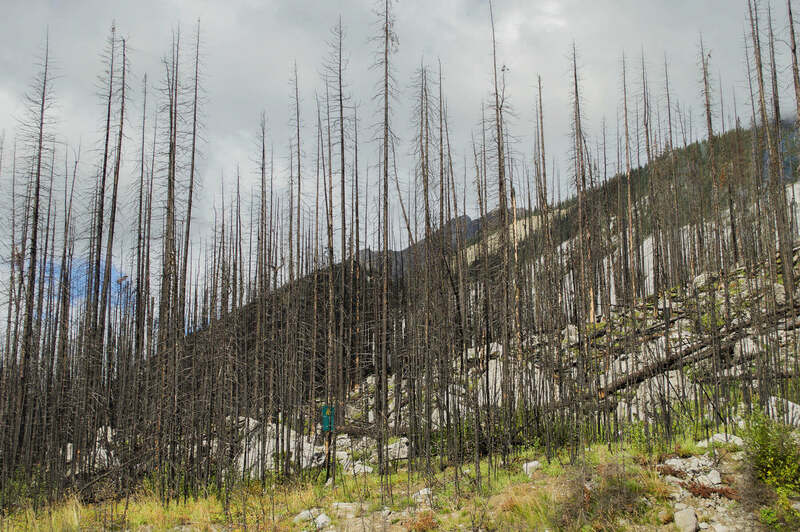 Driving through the aftermath of huge forest fires in the Jasper National Park, I definitely felt sad. I thought about all the trees and wildlife that must have died here and how disastrous it must have been for the local communities. The more I learnt about it, the more my perspective changed. For many years man has tampered with nature. We cut down trees, plant more trees, remove animals, re-introduce animals and play with all the things that we shouldn’t. For many years the people in Canada would put out natural occurring forest fires as quickly as possible, with the very best intentions. Although unfortunately, it has created a problem that is ruining the national parks and all that lives within them. Wildfires are what clears out old vegetation, it produces new forest, new grass and it plays a very important role in the natural changes in the earth’s ecosystem. When the fires are suppressed, larger and more uncontrollable fires occur and that is when the real devastation will face us. In recent years and months, larger fires have started in the national parks and swept through the land destroying much more than it should. 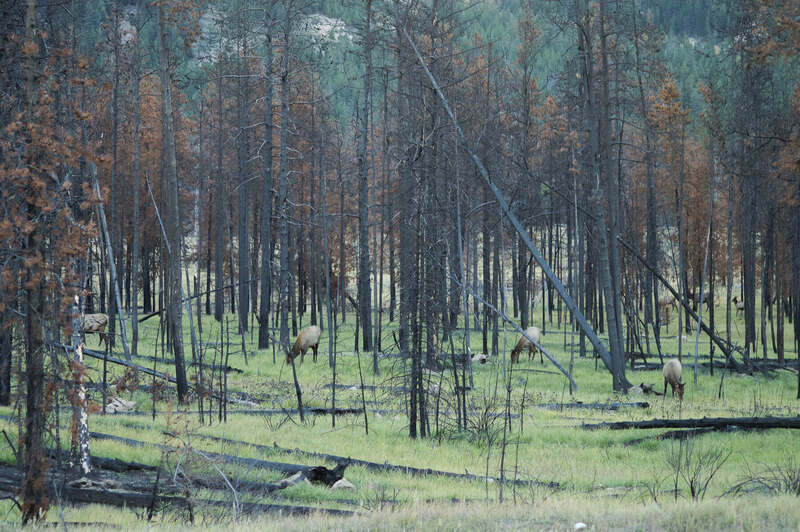 This is primarily due to the density of trees that the fires would naturally clear. Too many highly flammable trees, no open spaces and miles and miles of forest. The results really are devastating, and when these occur the fires reach areas of the forest far too close to the towns. Throughout the entirety of the national parks, the mountains are compacted with trees. Spruce, Pine and Fir trees follow the valley to the top of the peaks without even a breath of open space. It looks beautiful, it really does. But that is no place for animals to thrive. 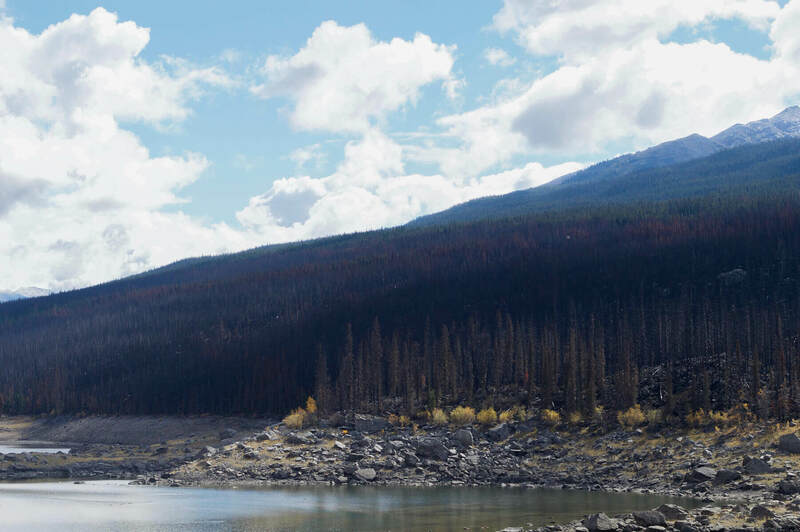 The logging companies throughout Canada would always cut down one tree and plant 10 more to replace it. It’s how they make their money… But as a result, the national parks are left with dense, unpopulated forests that are unliveable to most of the animal species. 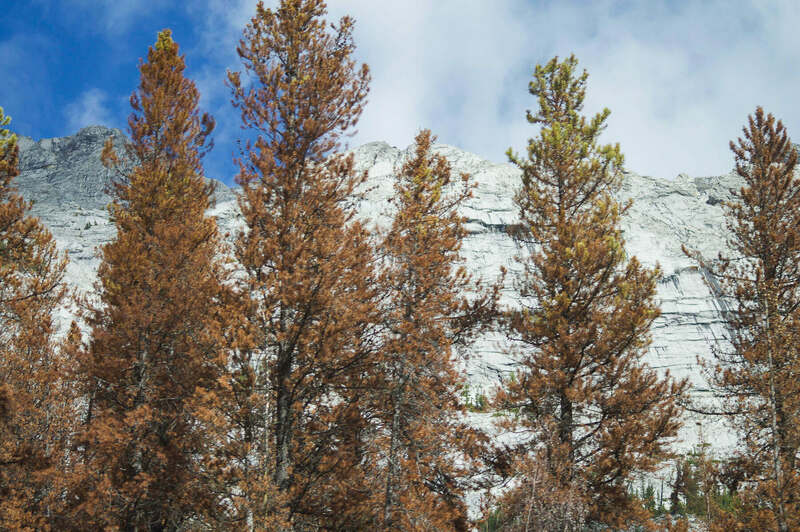 The trees are so close together that the ‘tragic’ Pine Beetle epidemic is sweeping through the forest and killing all of the trees, turning them a very unappealing brown colour. These pine beetles that most think of as ‘tragic’ are really just doing the job of the fires that we had prevented for far too long. 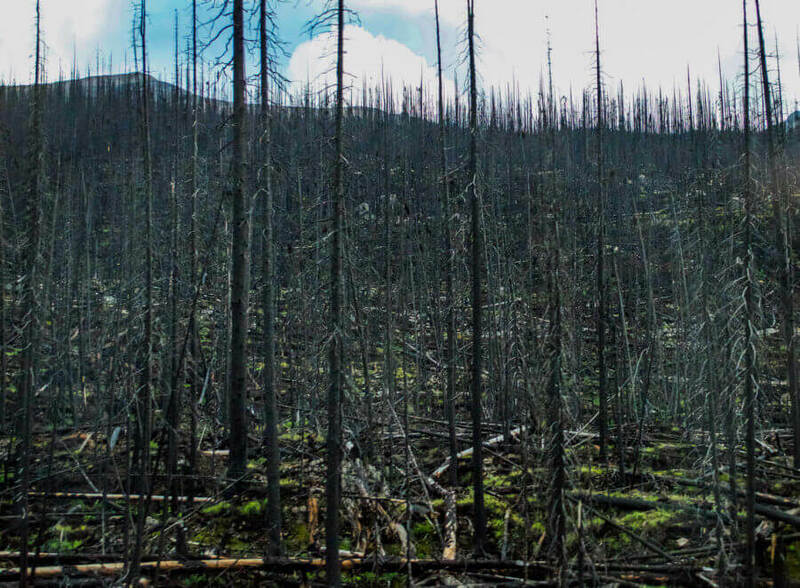 The natural occurring forest fires – most frequently caused by lightning – are there for a good cause. It’s something that is essential… It’s part of nature. The more the fires are avoided, the more the old forest grows and becomes densely populated with trees. The animals will move to unliveable areas, they will be forced into places where predators lie, and they will slowly be pushed to the brink. Yes, fires will always be devastating to the eye. To see living things die is so heartbreaking to the majority of the human population, but wildlife has adapted to live with this natural occurrence. Yes, some animals will die, but not as many as you might think. Unfortunately, that is a part of life on this earth. We want to keep the beautiful animals on our planet alive and well, but to do so we need to let these natural disasters occur. We need to see them as a part of nature and not as something that we need to elude. By no means does this mean that fires should be left completely out of control, killing man and everything that lies in its path. It simply means that we shouldn’t be putting them out before they have done what they came to do. To combat the mistake that man made for so many years, Parks Canada has now started to do prescribed burning. This is in the hopes to open up and renew the forest in the same way that it should have been done on its own. I came across a very inspiring man on my journey through Canada and he said one common line to me, ‘Let nature be nature’. It’s that simple. Thank you so much Dernell, that’s certainly my aim! I totally agree with you Walter. Global warming is a crisis I 100% know about. If you read my previous post about Global Warming you will see just how much I understand! 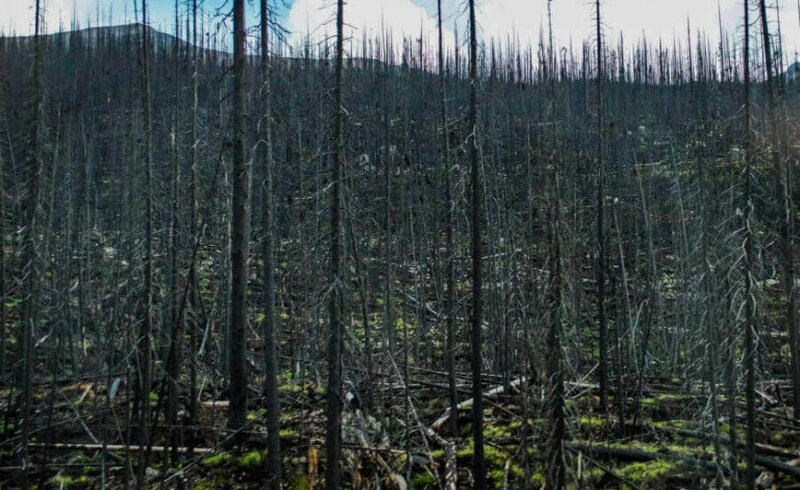 In this instance I am referring to the national parks in Canada.. Due to their tampering with nature, the forests are so dense and dry that when fires do occur (global warming as a high culprit) the risk of danger is so very high for both the humans and wildlife. It’s so devastating that an issue like this has occurred, again in the hands of man. Unfortunately nature has got to be nature. When we tamper with it, just like what is occurring with global warming, devastating things are sure to happen!